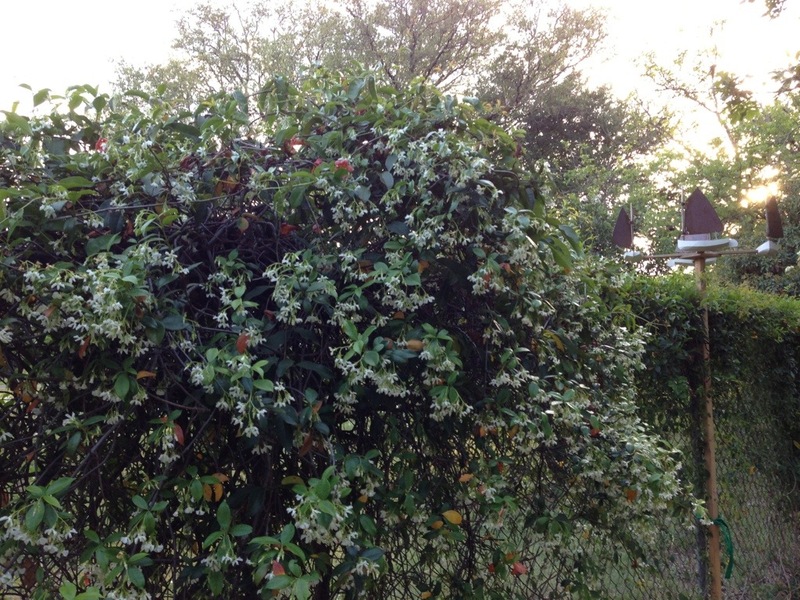 We have a fence along the south side of our lot that has several flowering vines covering it. Some Carolina Jessamine. Some orange trumpet vine. And some jasmine. The winds have turned back out of the south again, where they should be. 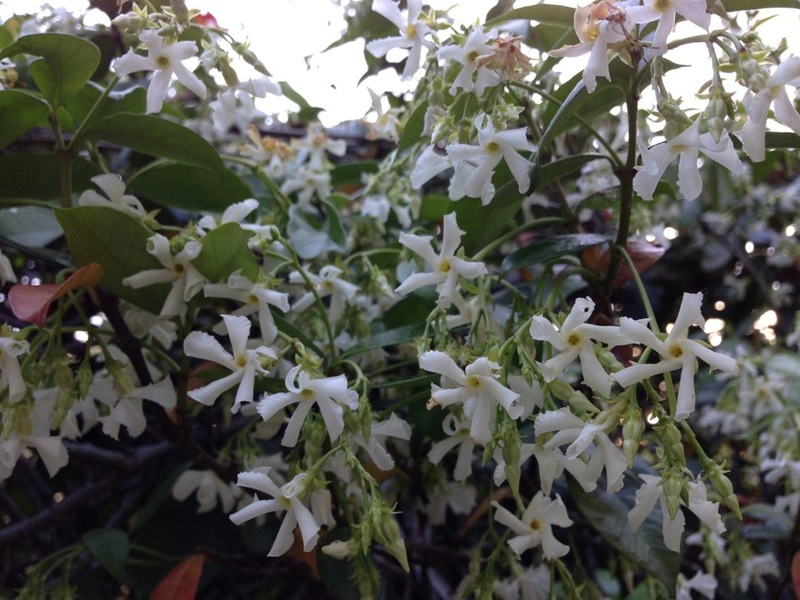 So our backyard is engulfed in the entrancing fragrance of jasmine. I love spring! Previous Previous post: Old Yeller.